its heroes – Roger de Vlaeminck, Eddy Merckx, Freddy Maertens – as mythical figures, and used radical techniques - the helicopter mounted Wescam, an experimental choral soundtrack - and the finest cameramen of the day. 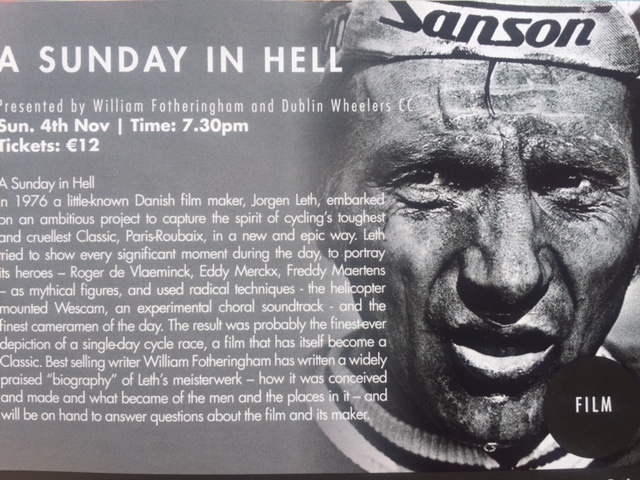 The result was probably the finest-ever depiction of a single-day cycle race, a film that has itself become a Classic. Best selling writer William Fotheringham has written a widely praised “biography” of Leth’s meisterwerk – how it was conceived and made and what became of the men and the places in it – and will be on hand to answer questions about the film and its maker.